MUMBAI: The International Licensing Industry Merchandisers’ Association (LIMA) has appointed Jiggy George as LIMA’s official head for India. George, a veteran in the Indian licensing industry, has over 20 years of experience in sales, marketing, project management and licensing. George is the founder and CEO of Indian licensing agency Dream Theatre, established in 2010. Dream Theatre represents iconic international and domestic brands in India including the Angry Birds. Earlier, George set up and ran the Viacom (MTV) and Turner (Cartoon Network and POGO) licensing businesses, and also served as executive director at Cartoon Network Enterprises. “With experience as a licensor, licensee and agent, Jiggy possesses a thorough knowledge of the licensing industry in India and of the overall regional market. He understands both the power and benefits of operating in India, as well as the challenges,” said Charles Riotto, president, LIMA. “Our goal for LIMA India is to unify licensing professionals through the development of valuable regional networking and educational opportunities. We are looking to reach not only those directly involved in licensing, but also those whose business is connected to our far-reaching industry,” Riotto added. 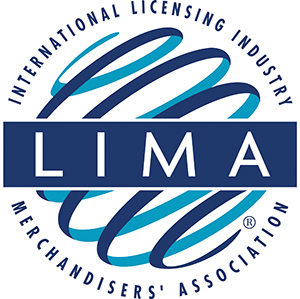 India is a strategically important market for the licensing industry and LIMA recognises the market’s growth potential. “With its rich history of entertainment and brand awareness coupled with strong economic fundamentals, the Indian licensing industry is poised for takeoff. This is the perfect time for LIMA to bring the key players together to jointly address the challenges and grow the licensing business in India,” said George.